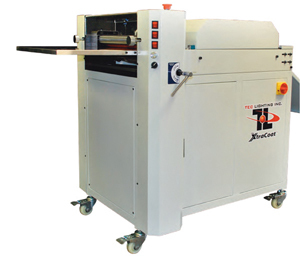 If you are running a print finish operation, the most important product is the finished product. If you are running a UV Coating operation, your UV Coatings are the difference between a stunning document or one that looks just ok. UV coatings are what protect the document while bringing out the colors at less cost than laminating them. There are many variables that lead to a stunning finished product. 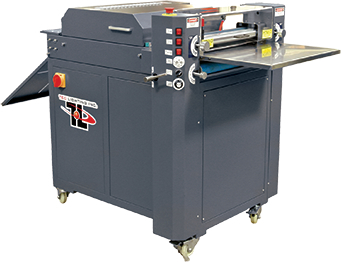 Your UV Coating machine has to be adjusted for speed and heat. If it is too fast, the machine can not coat the documents properly. If it is too slow, you can waste coating and have streaks. The lamps need to give off enough heat to ensure the curing process is complete. The machines need to be properly maintained so the rollers are always clean and without any hardened fluid corrupting a finish. The most important element of your uv coating operation is the uv coatings itself. One of the primary challenges with uv coating is odor. Some fluids have a strong odor that can smell during application but also put off a smell on the finished document. When we used Tec Lighting’s UV Coating fluid, one our customers complained about the smell coming off our documents. With REVO Coating UV Coatings, we have not had this problem. It’s low odor formulation not only keeps it from smelling up our print shop andn it stays off the finished documents as well. The other challenge is finding the right forumula that works with your printer. Konica-Minolta seems to be a challenge for its users running printed product through their UV Coating Machines. 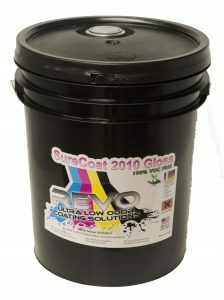 The REVO SureCoat 2010 has worked great in addressing the Konica-Minolta issues. Printers are getting a low-odor, Konica-Minolta compatible uv coating fluid that makes their finished documents stunning. So, as you are researching the costs of setting up your uv coating operation. Keep in mind that your uv coatings are the most important part of your decision. We switched from Tec Lighting to REVO Coatings because of the low odor, high quality output. Customers could not be happier.